Comfort foods...we all know them and love them. 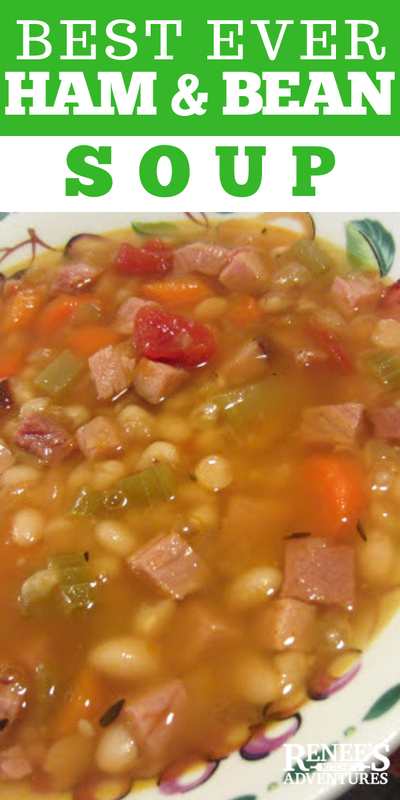 This Classic Ham and Bean Soup is pure comfort food to me. Smoked ham, white beans, carrots....Such a great deal of flavor for 3pp a serving!!! I normally make this soup after the holidays, when I have a nice big ham bone from a Honey Glazed Ham left over...but last week I had a taste for it, and wondered if I could duplicate the flavor the ham bone gives to the soup with a few substitutions. I picked up a package of Smoked Ham Hocks ( used one froze the other...and these things are reasonably priced too!) and a huge slice of smoked ham. If you can find a slice of ham with the bone section still in the middle, even better! And to give the soup that bit of sweetness from the glazed ham, I added a few TBS. of brown sugar at the end. Result? Delicious....and now I know I can make this soup any time I like! You will need to give yourself some time to make this soup, as the dried beans do take awhile to cook. The recipe makes about 16 cups of soup...plenty for a meal and extra to freeze for another time. *I didn't calculate the nutrition information for the ham hock, as I only used it for flavor and then discarded it. Whatever fat it released, I skimmed off the top of the soup before serving it. I really don't know if this is the proper way to calculate things such as this, but the pp values for this soup are pretty much inline with most recipes I saw for this type of soup...so that is what I am going with. 1. In 6 quart dutch oven or similar sized stock pot sprayed with cooking spray, on med heat, cook onion until softened ( about 5 minutes) . Add garlic and cook for a minute or so longer. Add beans, chicken stock, water, bay leaves, and ham hocks. ( if you have a smoked ham slice with the bone in...cut around the bone and drop that into the soup with the ham hock, then remove when beans are done) Bring to boil and then reduce heat to simmer. Cover loosely and simmer for about 2 hours, or until beans are tender. Remove ham hock and discard. Skim off any visible fat from top. 2. Add in canned tomatoes, carrots, celery, diced ham and thyme. Continue to simmer until vegetables are tender. ( about another 30 minutes to an hour). 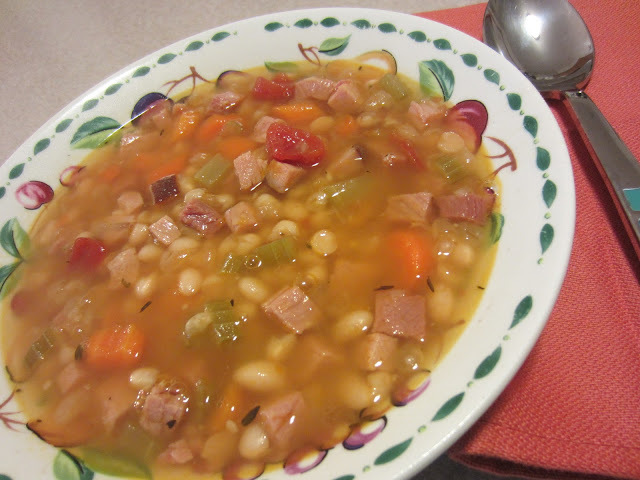 Ham and Bean Soup has to be one of my favorite soups of all time. I served this with some Pumpkin Jiffy Cornbread for the perfect accompaniment. I love that you get a decent portion for relatively little points. And with all the beans inside....it really fills you up! And did I mention how economical this soup is? Dried beans are a steal and you don't need much ham to complete the soup...you could even ask the clerk at the deli counter to cut you off an 8 oz. portion of your favorite lean smoked ham to use. Pin Ham and Bean Soup! Do you like homemade soup? What are your favorite kinds? Delicious! I make something similar to this in my slow cooker but I start with one of those bags of dried multi bean soup ix and toss the flavor pkt. The recipe is on my blog. I am so ready for cooler weather so I can start cooking up lots of soup and then freeze some for lunches. I did make a new corn chowder recipe over the weekend that was very good. I am not sure how to calculate the smoked ham hock - I have never bought one but I saw a recipe on Cooking Light that called for one. I think I would have done what you did and just leave it out of the calculations. Wow, yums! I feel left out for never having tried this classic!! Yumm! Sounds very similar to a recipe I have from my mother. Used to be that you could buy a ham hock with lots of meat still left on it but not anymore! You really need it though to get that authentic ham & bean flavor! Thanks for the reminder! 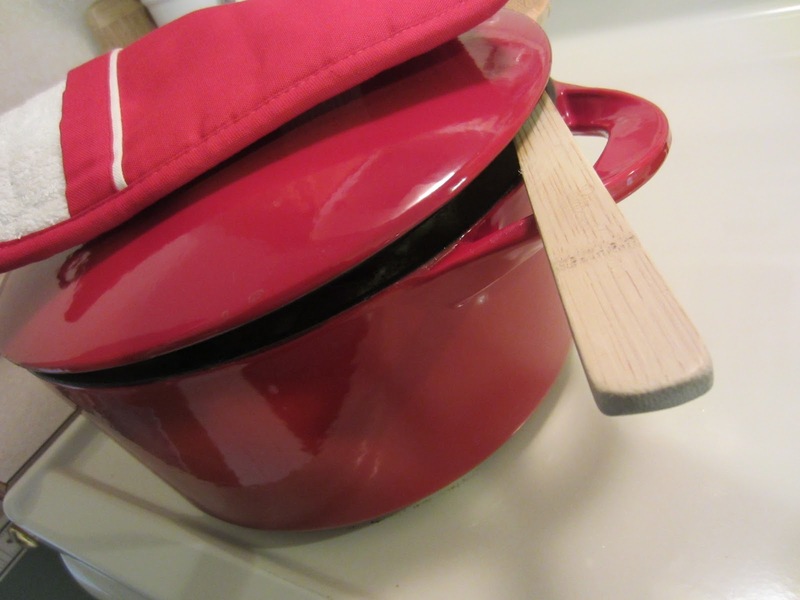 Your site is my new favorite cooking site and I love the WW points too! awe...thanks Marilyn! I agree with you about the Ham hocks...and while they are still relatively inexpensive, they too have gone up in price...but you cannot beat the flavor they impart! Yeah, I don't count points for ham hocks, because by the time you divide it between the servings, it ends up being not that bad. I just made an Irish potato soup for lunch today - I am posting the recipe tomorrow, but its 6 points for 1.5 cups - nice! Hi Renee. I was just thinking that I needed to make some soup soon. Soup season has arrived here in Vancouver!!! Thanks as always for your wonderful (and bookmarked) recipe! Hope you are doing well!!! This looks like a great comforting winter soup, Renee! Gotta try this! Thanks for linking up this week! Definitely comfort food at its best.